For the ultimate cooking experience, join us at our award-winning cookery school, for an unbeatable four day culinary adventure. 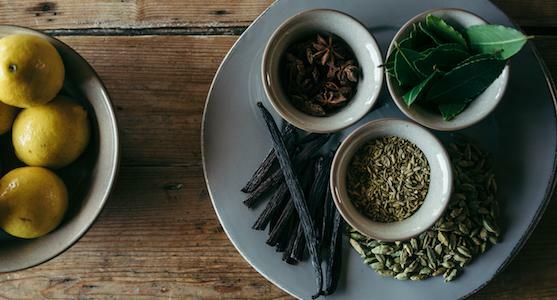 Often referred to by guests as ‘life changing’, this is the perfect opportunity to completely immerse yourself in the River Cottage seasonal approach to food. 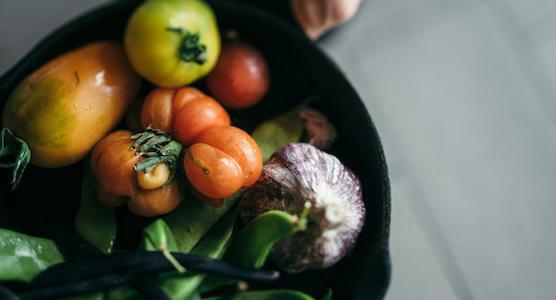 Whether you are keen to gain more confidence in the kitchen or add to your existing skills, this course will expand your knowledge, giving techniques, tips and ideas to inspire and maybe even change your outlook on food. Each day is held in our beautiful bespoke cookery school with great views across the stunning Axe Valley. Our HQ – 17th century farmhouse, 18th century events barn, modern cookery school and smallholding – is set in 100 acres of glorious Devon farmland. While you are with us there will be time to explore your surroundings including our walled kitchen garden, polytunnels, outdoor cookery area and courtyard and meet more of the team. Our expert Chef Tutors embrace many cookery methods including fast and slow cooking, preserving and smoking. 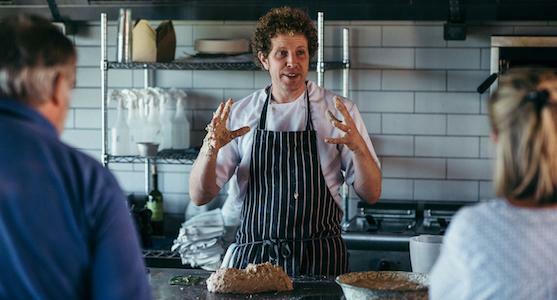 They will demonstrate, teach and guide you through their specialist subjects of bread baking, meat, fish, veg and sweet treat cookery with the focus on ingredient provenance, sourcing and seasoning. From baking your own bread, sourdough, focaccia and pizza making to learning the principles of butchery, slow-cooked meat, smoking, curing and knocking up a good gravy, this course will delve deep into a wide range of useful kitchen skills. Learn the art of fish filleting and gain confidence with shellfish, make vegetables the hero ingredient of your dishes, revel in cakes, pastries and desserts and get to taste the results along the way. At the end of each day join your fellow course scholars to share the dishes you have created and celebrate your time with us. “Exceptional Experience.” - Len W, Trip Advisor. Just a stone’s throw from the beautiful Jurassic Coast, Four Days at River Cottage makes a great holiday for food-lovers and adventurers alike. Your ticket also gives you 10 % off at the River Cottage Kitchen in Axminster during the course and a free River Cottage book of your choice. 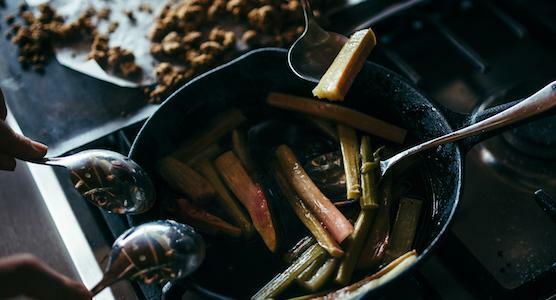 Make veg the hero ingredients of your dish! 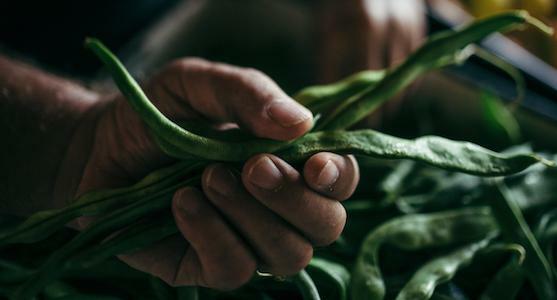 We’ll show you how to turn the bountiful produce of our kitchen garden into vegetable gratin, pesto, salad, soup, sauces and other tasty vegetarian recipes. You will be introduced to the River Cottage nose-to-tail philosophy and a wide range of butchery and cookery techniques, including offal, slow-cooking and making the perfect stock. 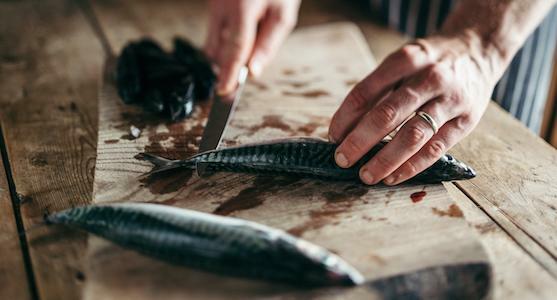 Get to grips with basic fish preparation, gutting and filleting, master some great fish dishes and gain an insight into the issues around ethical and sustainable fish. 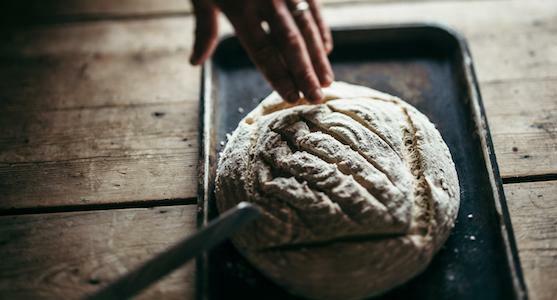 Learn the principles of bread making including sourdough, our classic farmhouse loaf, focaccia and pizza as well as mastering pastry, cakes and puddings. Take a warm loaf home with you! After all your hard work, you’ll finish each day by tucking into your freshly-made meal of local, seasonal fare.